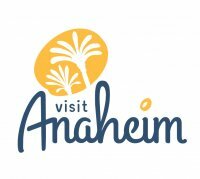 The Anaheim Resort Transit System (ART) provides transportation from the Clarion Anaheim to area attractions including Disneyland, Downtown Disney, California Adventure the Convention Center, Anaheim Gardenwalk, the Crystal Cathedral. If you need/want to go shopping, The Block at Orange (shopping mall) and Target department store are on the ART routes. The ART shuttle also provides transportation to top restaurants in the area, such as Ruth Cris Steak House, Bubba Gump Shrimp Factory and Lucilles BBQ Smoke House. Note: Shuttle drivers do not sell passes. You can buy them at the hotel and kiosks in the area. All buses are accessible to persons with disabilities. Individuals have a choice of purchasing a 1, 3, or 5 day pass. We also have a 15 & 30 day pass available! Only available at all kiosks except Dolphin’s Cove Resort & Amtrak Station. Please remember that all multiple day passes are for consecutive days use only.